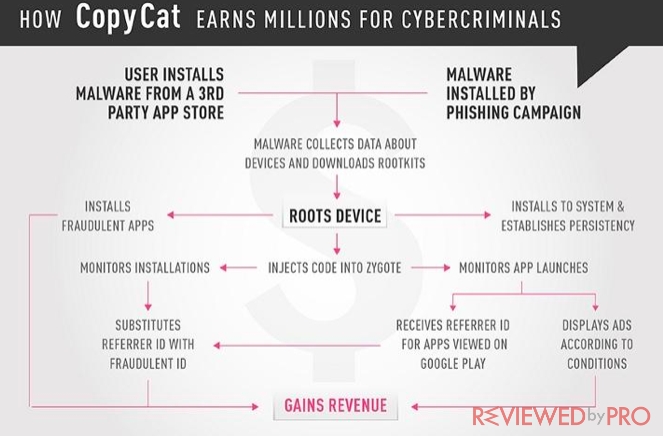 Adware dubbed CopyCat is extremely profitable and earned about $1.5 million in a period of only two months. As CheckPoint reported, CopyCat compromised approximately 14 million Android devices and its developers have generated around $1.5 million in fake advertisement revenues in the course of a couple of months. The adware mostly targeted Android devices in Southeast Asia. In addition to that, it has already infected over 280,000 handsets in the United States. 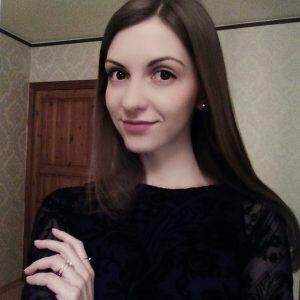 The research at CheckPoint announced that the malware is completely developed with a range of capabilities. Once a PC if infected infected, the adware tries to root the victim’s device to receive complete control. Furthermore, the virus places code into the OS’s Zygote application running process. Then, the code enables the adware to interfere in any movement on the handset. The CopyCat applies two methods of hacking the Zygote’s operation and stealing advertisement revenue. It shows fake pop-up advertisements on a victim’s device and abducts advertisement installation credits. Moreover, CopyCat installs fake applications straight onto the handset, thus, the developers are able to generate even bigger profit. Researchers at Check Point stated that distributors earn money for showing advertisements that influence the installation of particular applications. The adware tricks the device analytics platform Tune in order to generate the profit. These basic methods enable the attackers to earn a great amount of money due to the number of devices compromised by this malware. The adware rooted approximately 8 million devices from about 14 million that were infected. The malware was distributed via third-party app stores between April and May 2016. There is no evidence that the malware was available on Google Play. CopyCat was detected after it compromised one business client who informed Google about the hack. Check Point mobile research team, who also discovered the adware, wrote: “According to Google, they were able to quell the campaign, and the current number of infected devices is far lower than it was at the time of the campaign's peak. Unfortunately, devices infected by CopyCat may still be affected by the malware even today”. ^ Check Point Mobile Research Team. How the CopyCat malware infected Android devices around the world. Check Point. ^ Bradley Barth. CopyCat malware infects 14M Android devices, steals credits for app downloads. SC Media . ^ Angela Moscaritolo. CopyCat malware infects Android devices worldwide. PC Magazine. ^ CopyCat malware infects smartphones globally. USA Crime Today. This entry was posted on 2017-10-15 at 00:28 and is filed under News.